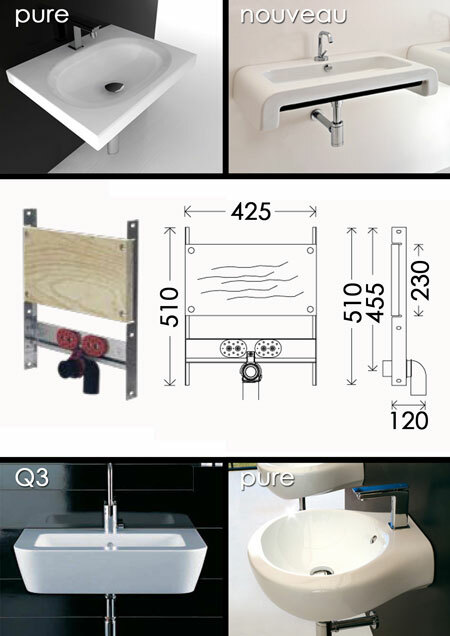 This wash basin hanging frame is designed to be easily built into the wall by fixing to the existing timber stud work. This wall bracket gives a good and strong fixing for the wall hung basins, ensuring a quick and safe installation. * Easy clamping of pipes.